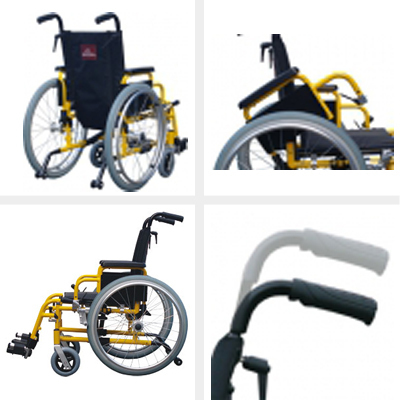 The Excel G3 Paediatric is standard equipped with height adjustable push handles, removable swing-away footrests with nylon heel straps on the footplate, foldable backrest and seat upholstery, armrests and comes in a cheerful yellow colored frame. 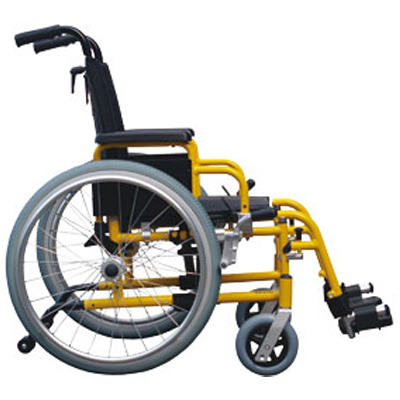 In addition, the Excel G3 Paediatric is a lightweight wheelchair. This makes the chair easy to carry. The many settings from the base already quite complete.